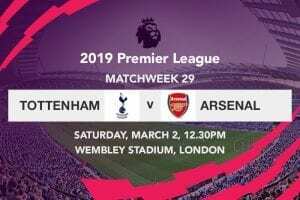 Manchester City’s adherence to the common creed of successfully defending the title will be put to test this weekend when they travel to London for Match Week 16 of the 2018/19 English Premier League. 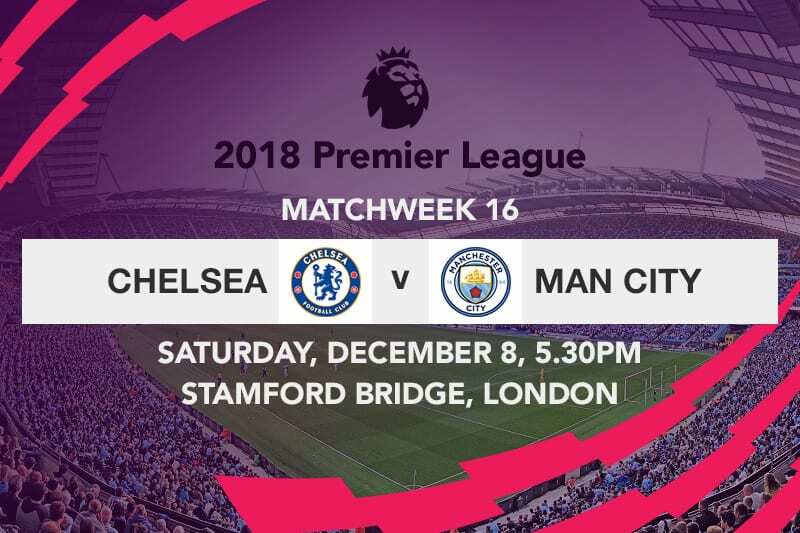 Taking to the turf on Saturday afternoon, the Citizens’ mettle will be tested when they line up against Chelsea at Stamford Bridge. In a week that ushered in the busy month of December characterised by congested fixtures in the English top flight, City’s buoyant spirit was once again on display when they brushed aside Watford to register a 2-1 win at Vicarage Road on Tuesday night. Despite being in cruised control of the match and looking to stretch their lead ahead of second-placed Liverpool to five points, Pep Guardiola’s charges had to wait until the 40th minute to break the deadlock. Riyad Mahrez, who was deep in the right flank, crossed the ball to David Silva but the Spaniard couldn’t get enough contact on the ball at close range. With the ball worked back to Mahrez on the right, the Algerian swung a deep cross into the area; one that Leroy Sane immaculately guided into the back of the net with his chest to put City ahead. The visitors were at it once again just six minutes into the restart, with Riyad Mahrez finding the back of the net this time round. Bursting down the inside-left channel, Gabriel Jesus cut the ball back to Mahrez on reaching the byline; the former Leicester City forward striking a venomous first-time finish past Ben Foster to double the advantage. Shacked off by conceding the second goal, Watford unleashed an onslaught within the closing moments of the game, pulling one back in the 85th minute through Abdoulaye Doucoure who scrambled one in for the hosts. Although a comeback was quite an unlikely eventuality, City had to endure tense final minutes of the encounter; albeit transforming dominance into three points for the thirteenth time in fifteen Premier League games. The result translated to another milestone attained by the reigning Premier League champions, as it is the third consecutive season that the Citizens are unbeaten in their first 15 matches of the EPL season. With the outcome, Pep’s boys stretched the gap at the top to five points ahead of Liverpool’s midweek trip to Burnley the following day. 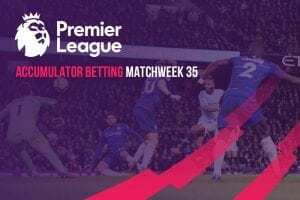 After sustaining a 3-1 thrashing at the hands of Tottenham Hotspur nearly two weeks ago, Chelsea returned to winning ways last weekend as they cruised to a 2-0 victory over bottom-placed Fulham. The Blues went ahead as early as the fourth minute through Pedro, whereas Ruben Loftus-Cheek rounded off the victory with a goal eight minutes to stoppage time. Eden Hazard is slowly building on his momentum having recovered from an ankle injury, but Ross Barkley could return back into contention after sustained an ankle injury in the Europa League last week. Victor Moses remains a doubt after picking up a back problem but Marcos Alonso could return this weekend despite sustaining an ankle problem against Fulham. Sergio Aguero, who missed the midweek win over Watford, is a doubt for the trip to Stamford Bridge as the Argentine picked up an abductor injury this week in training. Vincent Kompany limped out during the match against the Hornets with a suspected hamstring strain, although Guardiola revealed that the injury isn’t as serious as initially thought. Raheem Sterling was among key Manchester City played rested on Tuesday night, arguably to maintain their freshness ahead of their decisive encounter with Chelsea. The 23-year old currently leads the goal scoring charts at the club with eight goals in the league; two behind overall leader Pierre-Emerick Aubameyang. Although City have a ludicrously talented squad with numerous goal scoring threats, the England forward is currently enjoying the best form of his career, and could pose City’s biggest attacking threat in the absence of the injured Sergio Aguero. Maurizio Sarri may have sustained his first defeat of the current Premier League season against Spurs, but the Italian manager ensured that the outcome was more of a stumble rather an absolute fall when he bounced back with a win last weekend. The Blues have however registered three successive defeats against Manchester City; with the last defeat being a 2-0 loss in the FA Community Shield.